Stay warm while representing “America’s Most Famous Small Town”. 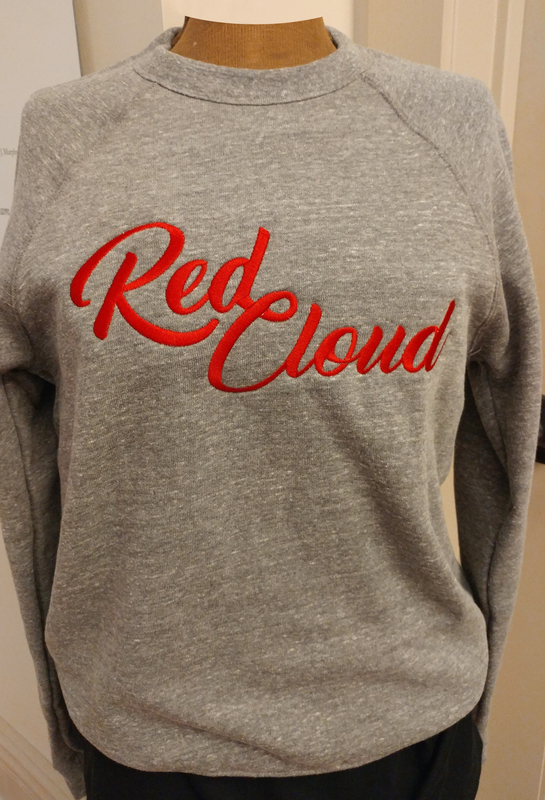 This gray sponge fleece raglan sweatshirt features our favorite town embroidered in red and is available exclusively from the Willa Cather Foundation. As Willard Throp, in “American Writing in the Twentieth Century” said, “From the literary standpoint, Red Cloud ranks as one of the most famous villages in American Literature.” Red Cloud is home to the largest living memorial to an author in the country. Willa Cather spent her childhood in this small railroad town, and it is the mission of the Willa Cather Foundation to promote and assist in the development and preservation of the art, literary, and historical collection relating to the life, times, and work of one of America's—and the world's—most beloved and respected authors. Proceeds from sales will directly support tourism development initiatives in the community of Red Cloud.